Defend Your Life! is a tower defense game set in a human body. 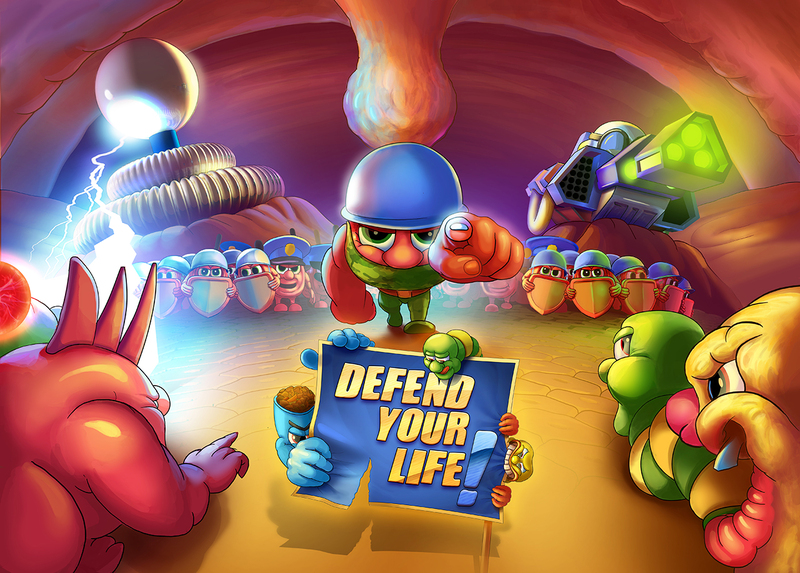 Players will enter the stylized but real anatomy world and become the commander in order to defeat enemy viruses as well as bacteria followed by the ultimate boss. Your mission involves strategic thinking, combining special upgrades, using mighty powers, plus controling strong and cunning heroes. Expect the game in the beginning of 2015 on your iOS and Android devices. Our tower defense game is ready to play in case you own Windows Phone device. You are probably asking yourself why is available only WP version. Well, the thing is that Defend Your Life was accepted by AppCampus for its app acceleration program. The condition of receiving the support is 90 day exclusivity. But do not worry, iOS and Android will be released soon. In January, to be more specific. Our tower defense game will be available in 10 languages. Vote for Defend Your Life! on Steam Greenlight and help us reach desktops. Sweet! I'll defs be ieening an eye out for it!